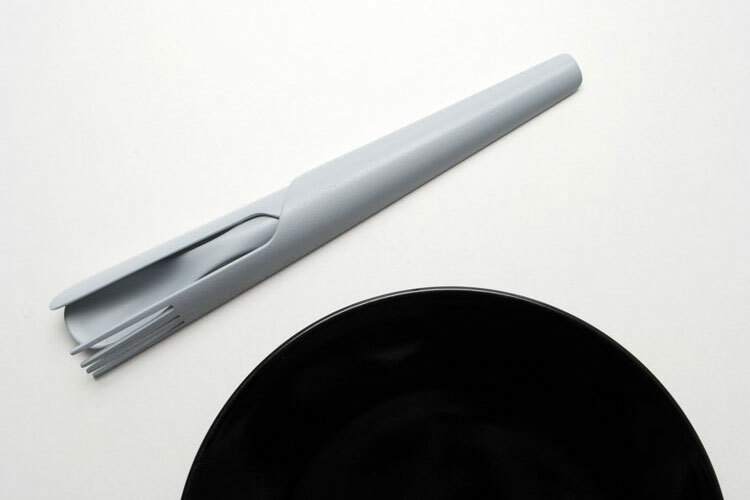 A set of cutlery for professional gastronomy in the sector of communal feeding. The main focus is placed on the presentation (on the table) of the cutlery in the restaurant. The design should be exceptional and attract attention, in order to communicate modernity and design culture as image of the brand Arcoroc. 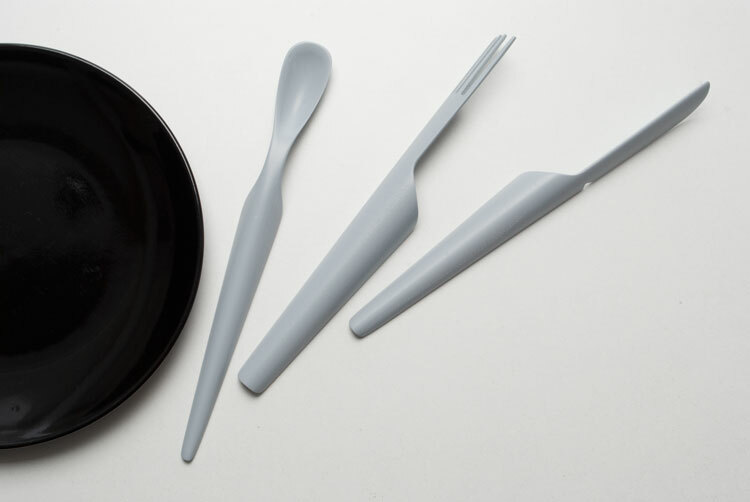 «Ménage à trois» is a stainless steel cutlery set, whose three components, fork, knife and spoon, merge together to create a unit that catches one's eye through its unconventional way of being presented on the table. 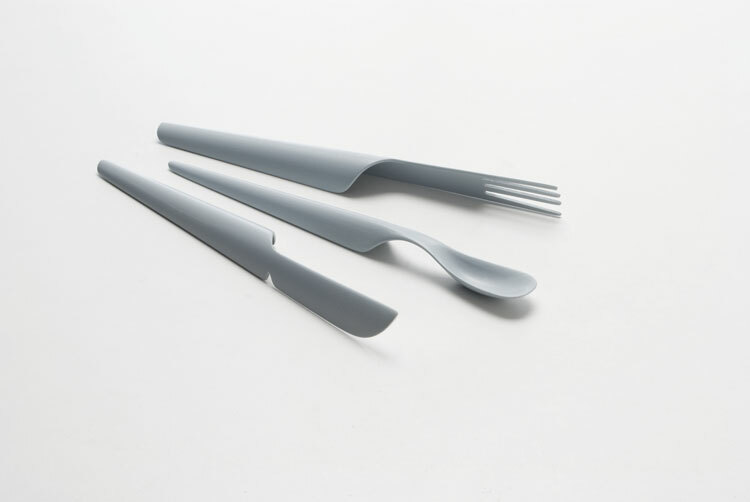 Similar to the way cutlery is oftentimes being decorated in restaurants – wrapped in a napkin – the cutlery can be put together in advance, a gesture that significantly facilitates the act of setting the table in large gastronomy.